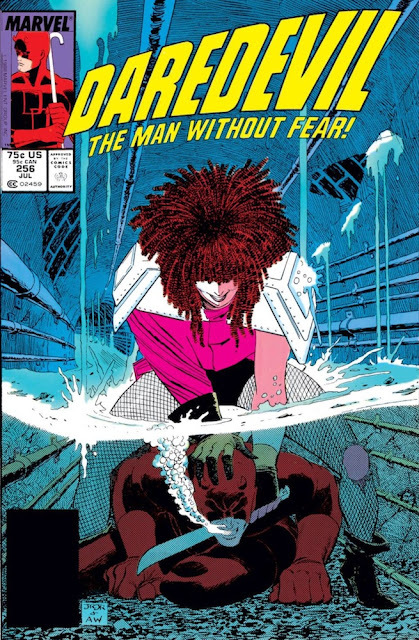 She's Fantastic: Marvel Legends - TYPHOID MARY! Despite her historic name, Mary (in the comics) has nothing to do with viruses or illness. Instead she has telekinetic and pyrokinetic powers along with agility and fighting skills. Although I kind of wish she had powers like her character did in the Elektra movie. I have two slight complaints about this figure so I'll get them out of the was quickly. Firstly, hair strands on action figures never look as good as intended. Her stylish strand looks like a hotdog. Secondly, her jacket prohibits her arms from falling nicely to her sides. That's all. Otherwise she's terrific. I love this figure. Like I mentioned before, Mary was the figure I was looking forward to least of the nine (!) Marvel Legends ladies that have come out in the last month. But after having her in person my tune has changed. 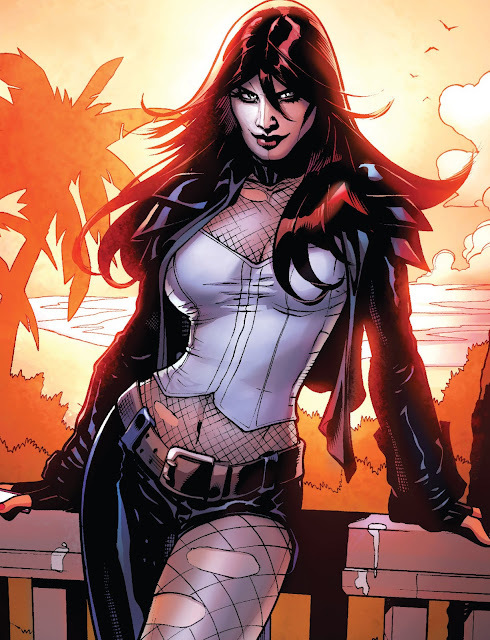 I love that she retains so many details of her original design: the half-painted face, the fishnets, the leather, even the shoulderpads - but all in a modern interpretation. Typhoid Mary comes with a sword with a wrap-around (removable flame piece). I'm not sure where this piece originated but we just saw it with Psylocke. Typhoid Mary comes with the Left Leg build-a-figure piece for Monster Venom.